Our team of qualified house-call doctors is always ready to assist you at home or at the hotel. Call us and we will manage the visit the same day of your request. Travel Care Italy assures you fast lines for the emergency room. No more long waiting hours. 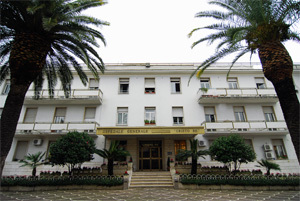 The structure of Cristo Re was founded in 1958 and was fully accredited by the National and Regional Italian Health Service. In 2014 Ospedale Cristo Re joined GIOMI Group, which is one of the leading Private Health Companies in Italy. The hospital is divided into 7 buildings and is equipped with 185 beds (170 for the ordinary hospitalization and 15 for Day-Hospital / Day-Surgery), 5 operating theaters for surgical disciplines, 2 operating rooms, and 2 delivery rooms for obstetrics.